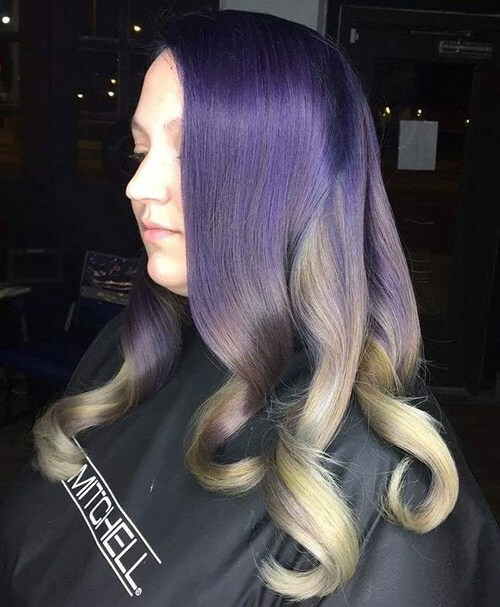 Today’s gorgeous gallery of exciting, dual-color hairstyles is a go-to ‘look-book’ for chic, ‘alternative’, wild, sophisticated and pretty styling ideas! 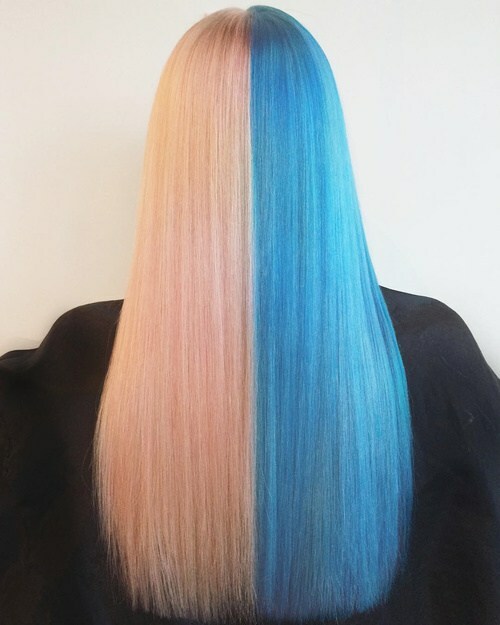 The popular ombré technique is being challenged by new colour patterns, like adding colour from top to bottom on just one side. And half-and-half two-tone styles are absolutely ‘must-see’. So whether you’re looking for a ‘dangerous girl’ fantasy or a more conservative way to perk-up your image – take a look at these fab new ideas! Hot-pink has always looked great against coffee brown in fashionable outfits. 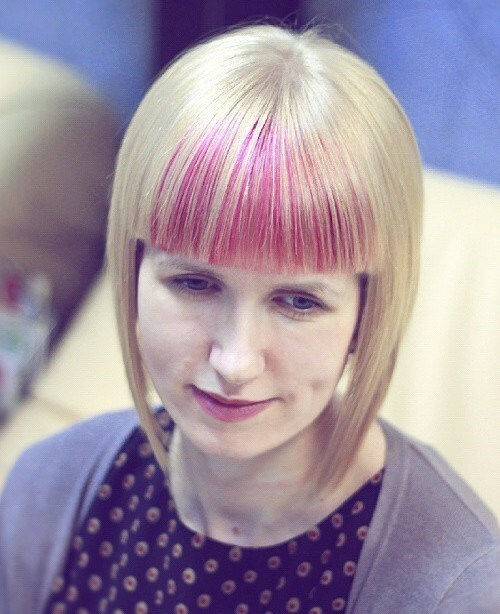 So it makes sense to add pink highlights to this A-line bob for fine or medium hair to bring it right up-to-date. 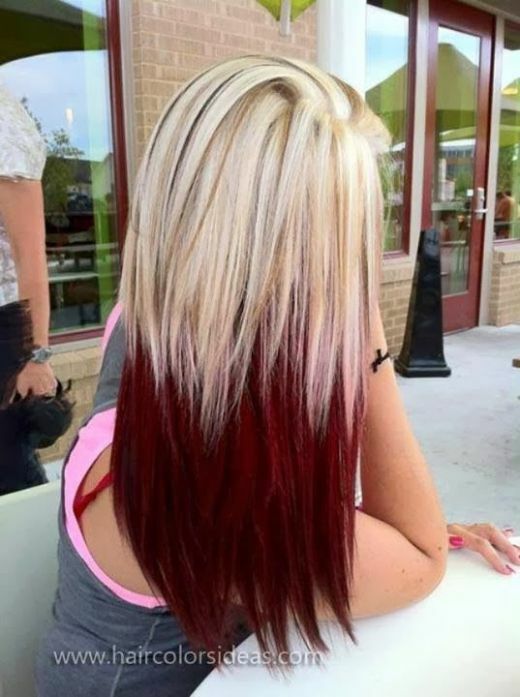 And using several, slightly different shades of pink is a clever way to make hair look thicker! 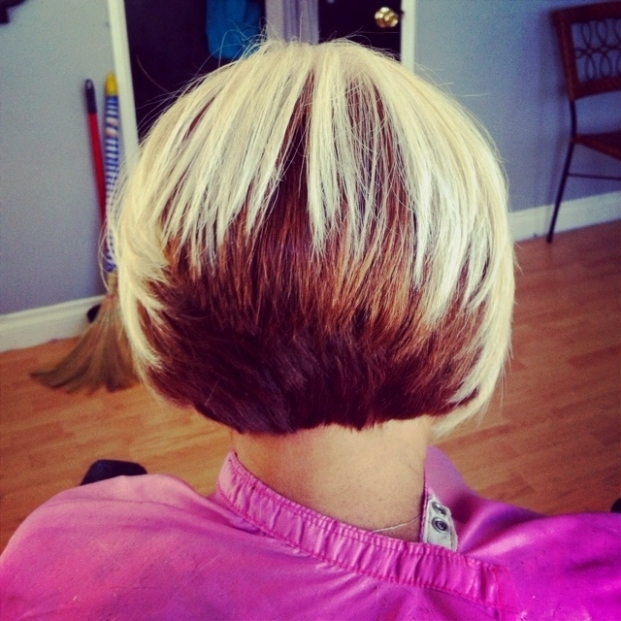 Here’s a playful way to add style and personality to a precision cut angled-bob in pale-blonde. 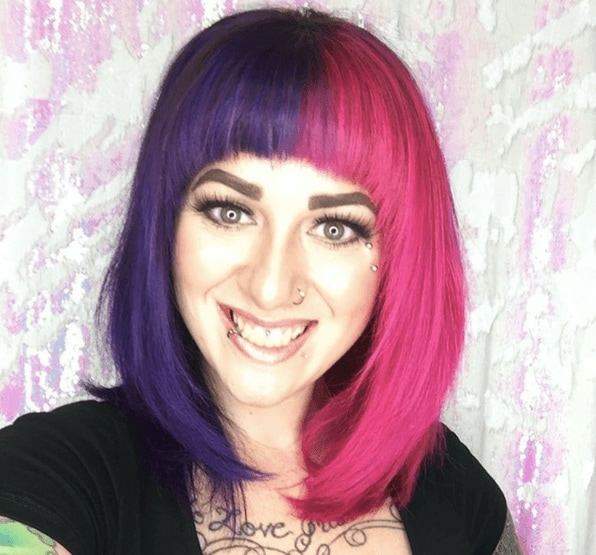 Adding fine pink highlights to the strict, straight-across bangs perks-up this model’s rather bland image and draws attention to her lovely blue eyes! 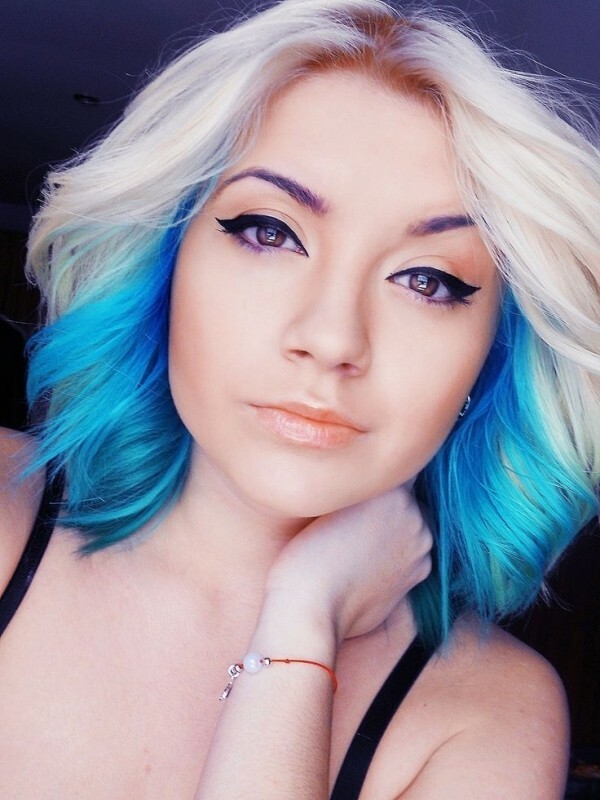 The navy and white nautical look is very fashionable again this year, so it’s the perfect time to experiment with fabulous navy-blue hair color ideas. 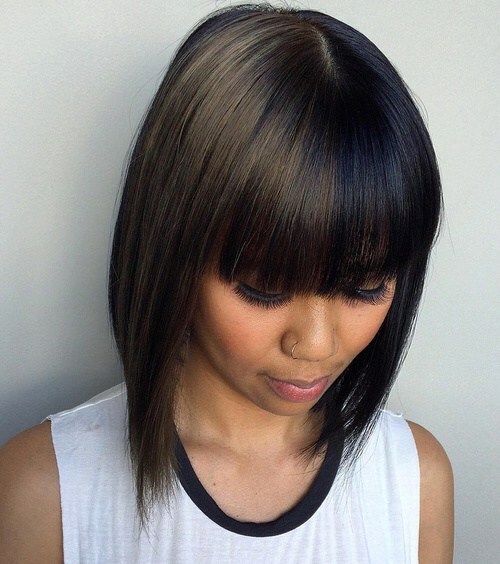 This half navy, half ash-brown style is a chic, super trendy look! This hot new look can be achieved best on medium to thick hair. Hair is cut the same length around the back and sides, with shorter layers softening the line around the chin. 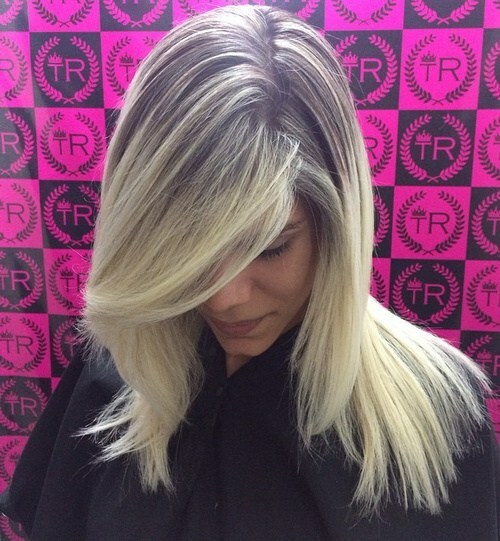 The ends are heavily layered with fabulous shaggy, textured tips in golden-blonde to finish this original new style! Here’s a stunning idea for a prom or party, that’s bound to make everyone jealous of your ultra-modern style. There are actually three colours here; black and orange around the head, and if you look closely at the cute top-knot, you can see there’s an ash-brown ombré, too! 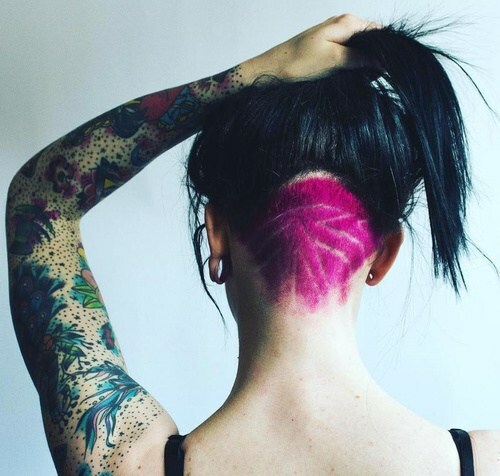 If you prefer to set the trends, this unusual undercut with a geometric, tribal pattern should inspire your next haircut idea. 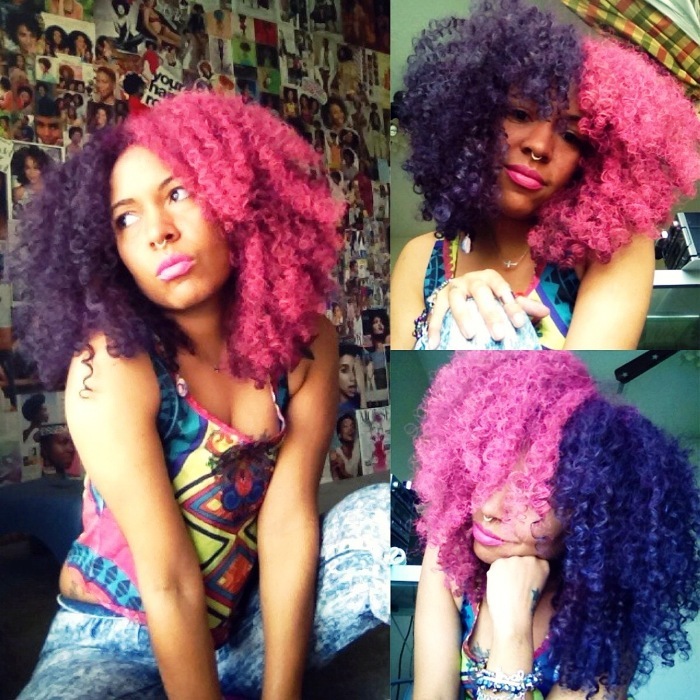 And the dramatic contrast of jet-black and vivid hot-pink finish this fantastic ‘alternative’ look! This fabulous fantasy look projects a confident, creative image. Turquoise and rose-pink are such pretty, girlish colours normally, but with piercings, blood-red lips and loads of black eyeliner this is definitely a fun,’ dangerous girl’ look! 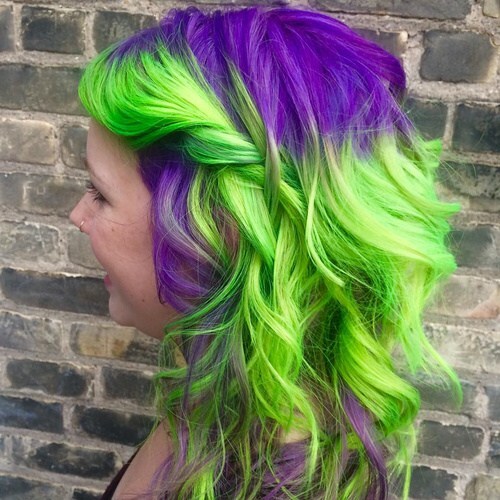 Here’s another extremely bright fantasy hairstyle you can wear for parties, concerts and music festivals. 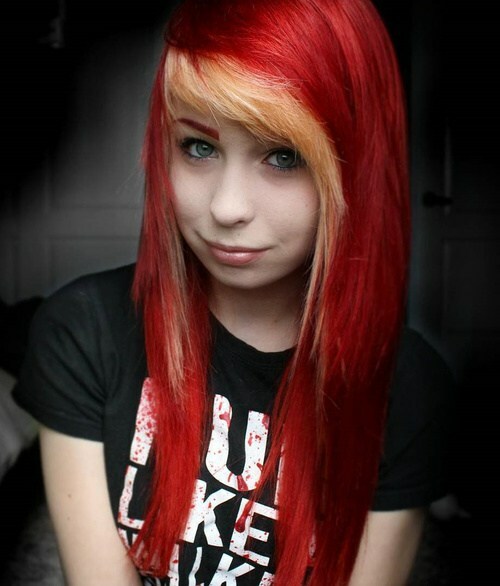 You really need blonde hair to get such vivid colours without over-bleaching your natural hair colour. And the loose braid detail and messy waves suit this exhuberant style perfectly! 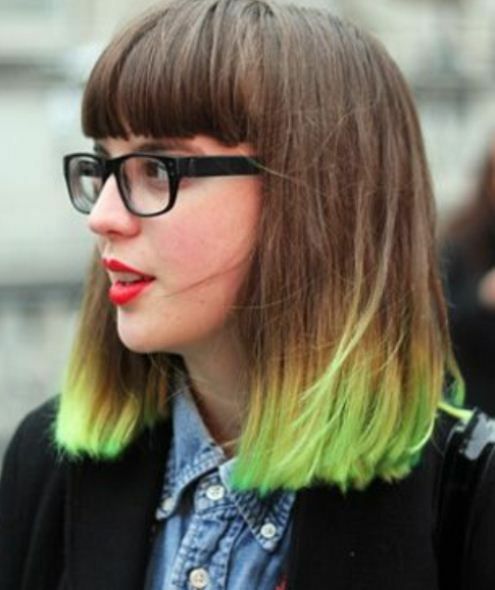 Here’s the latest ‘alternative ombré’ idea for brunettes, with a bright, young splash of colour added to the side. 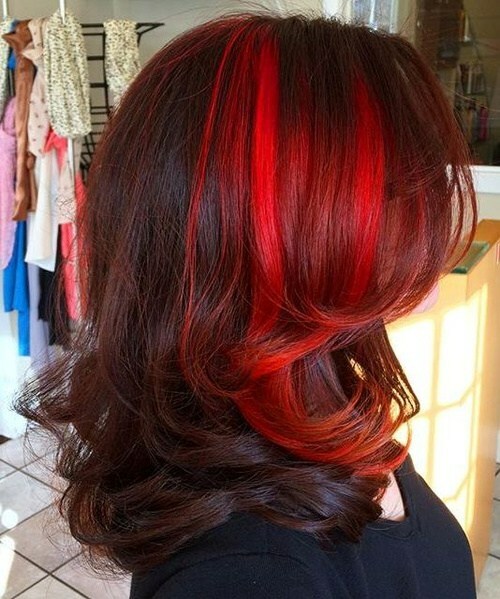 You can wear it on one or both sides and these glorious sunset shades ending in copper tips look fantastic on a casually waved, shoulder-length hairstyle! This new fashion, make-up and hair style is based on the mannequins used in store windows! 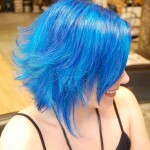 They tend to have amazingly futuristic hairstyles, like this quirky, asymmetric colour design so why not copy? The fab yellow and brown hair colours look great on lightly crimped, thick hair, with choppy blunt-cut tips! 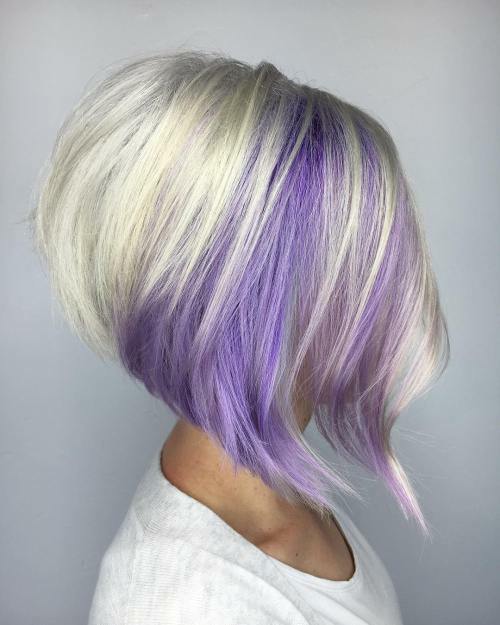 Two-tone hair colours don’t have to be outrageous or quirky, as you can see in this elegant muted purple and blonde hair colour idea. The beautifully defined loose waves also show off gentle shades of ash-beige-blonde, a very trendy new colour! This feminine, wispy hairstyle’s a great design for fine or medium hair, as the lightly windswept texture helps to add volume. 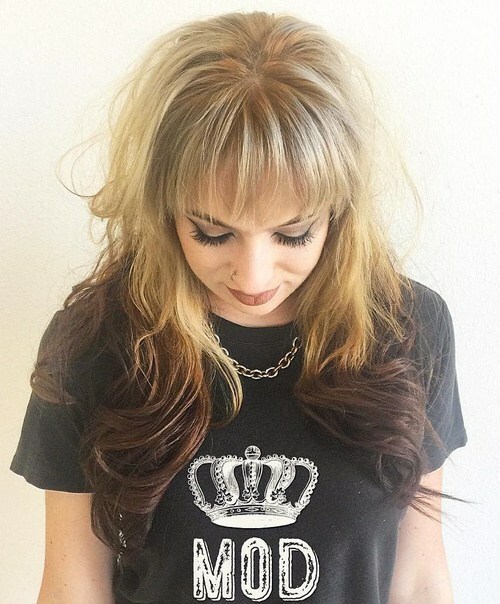 The unusual brown ombré creates a highly individual look, along with the light louch of orange balayage on the roots above the deep, long bangs. I love this new dual-colour design, which looks like the model is wearing a scarlet hoodie with just orange-blonde bangs and side-sections showing! 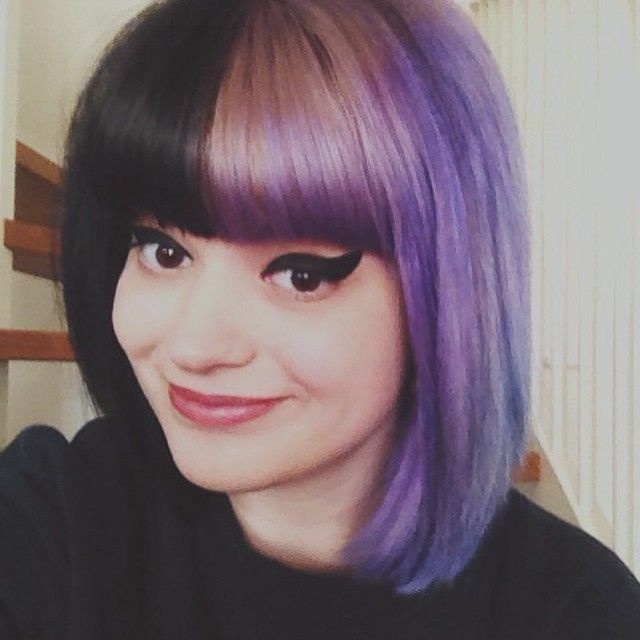 It’s a fantastic ‘alternative’ look with goth-style layers ending in heavily tapered tips. The orange tones really bring out the blue of the model’s eyes! 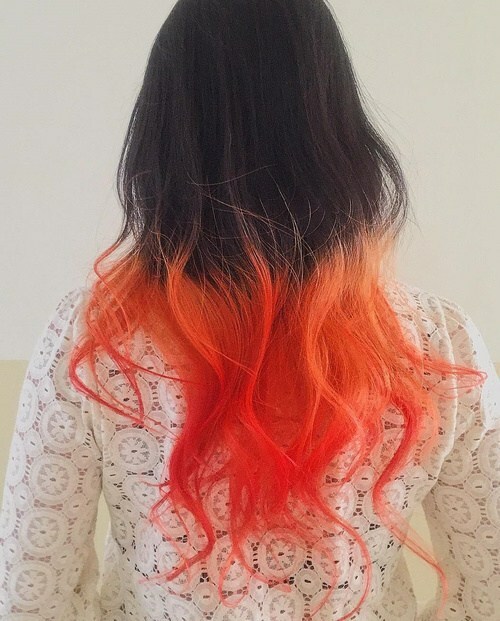 This is a really artistic hairstyle that creates an stunning orange ombré on hair styled to resemble real flames! 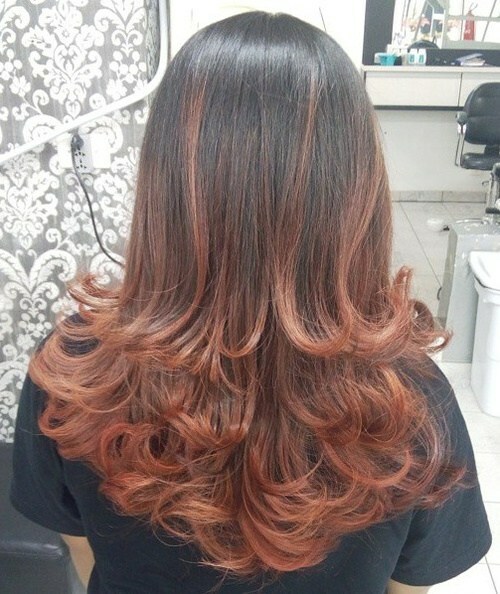 The hair’s cut in long layers and the ombré changes to vivid red-orange on the highly tapered tips in the V-shaped back. It’s a bold look for maximum style impact! 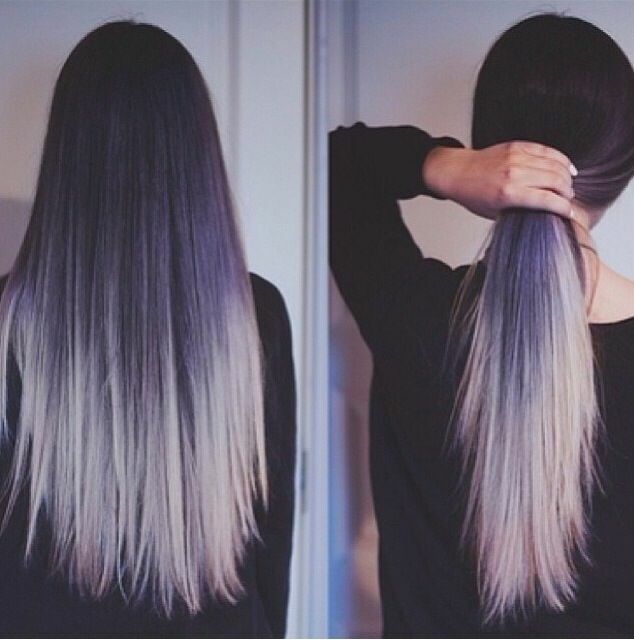 If you’re looking for an alternative to long waves, try this pretty hairstyle! Flicking-out the long layers creates lots of volume and makes the hair seem thicker. 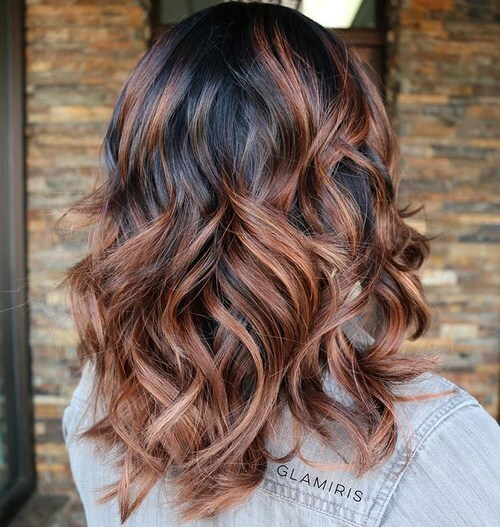 And with an up-to-the-minute soft copper ombré, this is a great look for proms, parties, weddings and dinner dates! 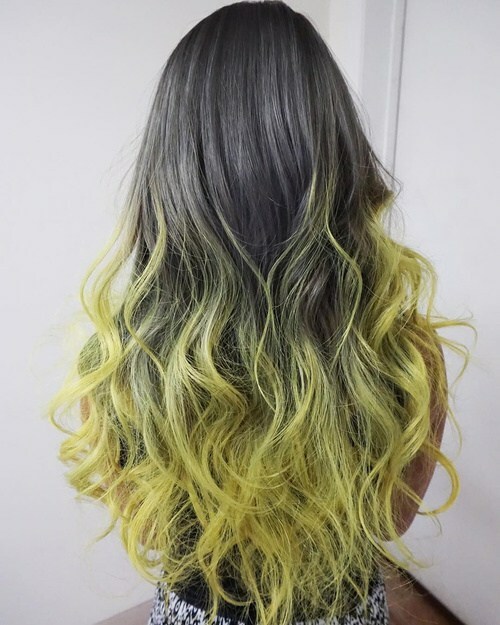 Here’s a unique new colour duo matching trendy graphite-gray with amazing yellow ombré waves! It definitely puts out a boho vibe and the lovely tousled mass of waves covering the model’s back contrasts perfectly with the smooth gray top! 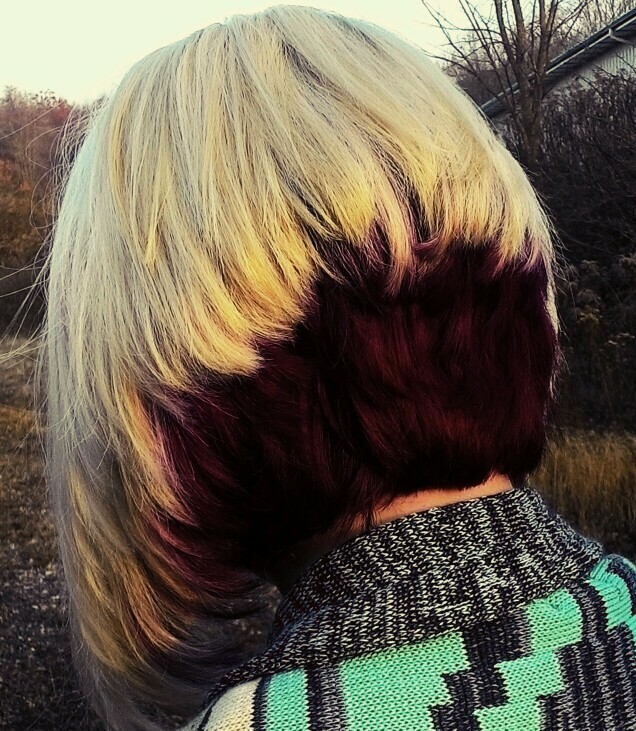 This platinum-blonde style scores lots of style points for updating the harsh black roots to a fabulous deep purple! 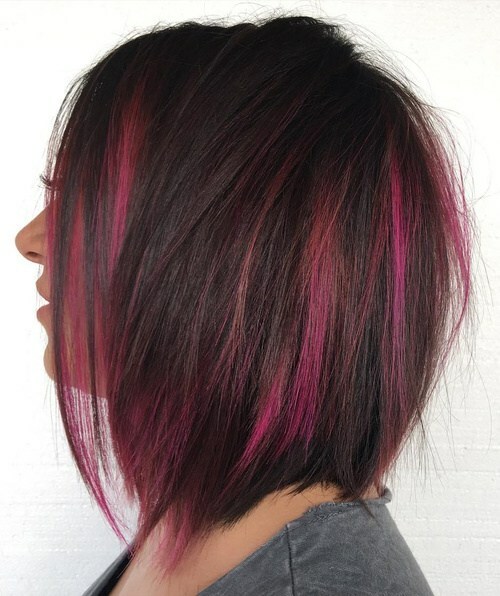 This contemporary color softens the whole look and the simple, asymmetrical haircut has long, side-swept bangs creating a flattering curve across a round or long face shape! Long, layered hairstyles with loose waves offer a trendy, casual look for every day and evening style. 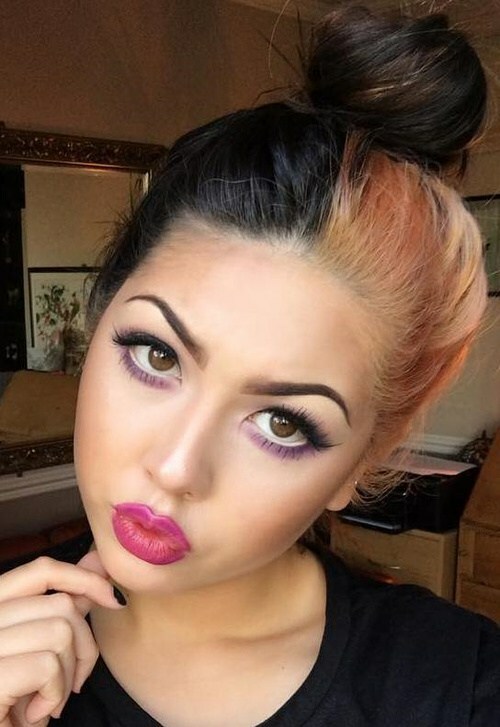 The muted copper ombré is a gentle shade fading to soft beige on the textured tips and it looks great with faded denim, dove-gray and purple clothes! 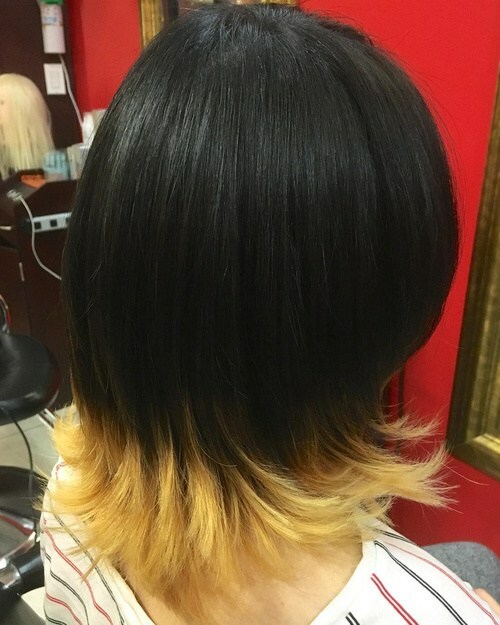 This long, straight style is the perfect way to show off a dual-color look, which is a pretty amazing sight that needs no fancy styling! 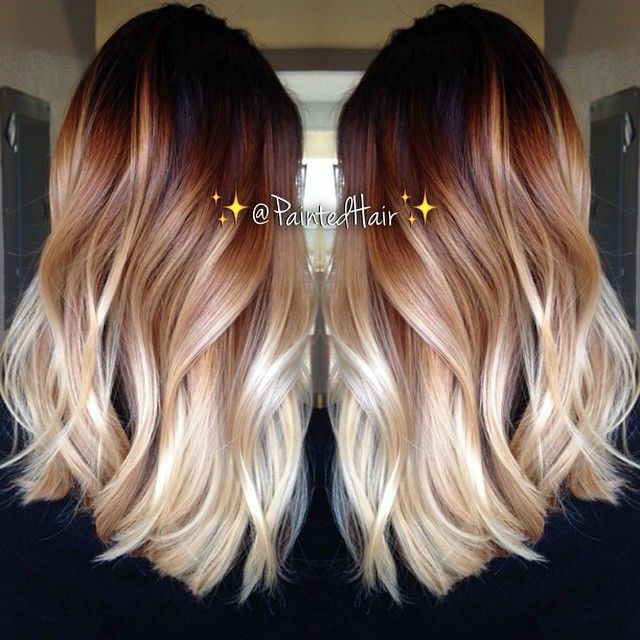 The hair is in great condition and just has heavy layering to add texture in the tips! But it must look fantastic in a braid up-style or chignon, too! There’s a great creative contrast in these two, apparently opposite colours! 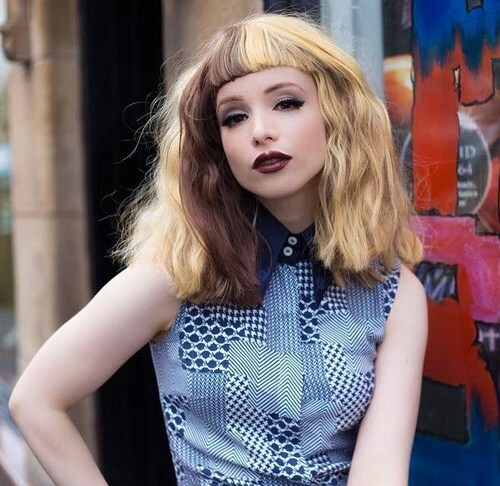 The cool blonde shade’s balanced by warm cocoa-brown, but to keep the look edgy and ‘alternative’ the cut is deliberately choppy and unbalanced. 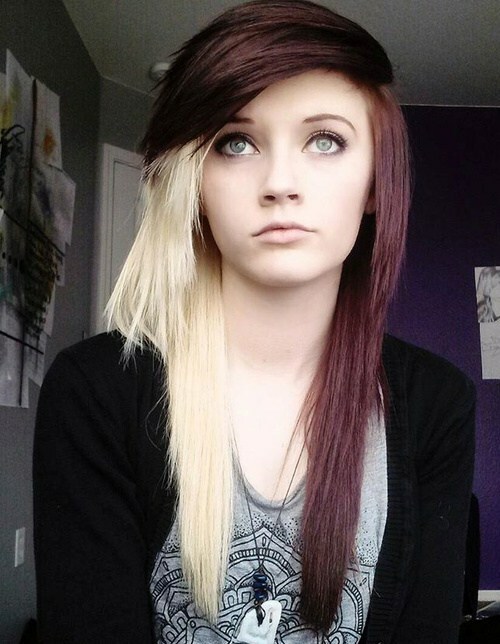 The overall look of this ’emo’ hairstyle is highly individual! Hairstyles and colour trends are changing so fast these days, but always make sure you choose a style and colour that really brings out your best features!